Bred by Tersk Stud, Russia.Sold in the Tersk Holland Sale to Germany. One of the most successful and famous Arabian stallions in the world. 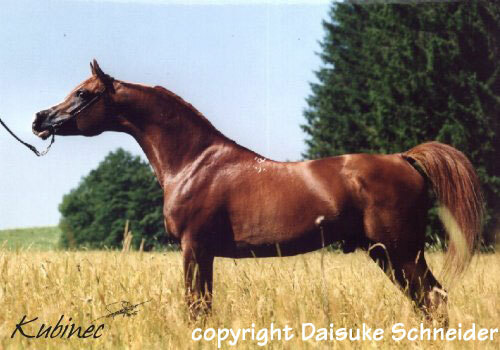 European Champion; World Champion Stallion; German National Champion; Nations Cup Res. Champion Stallion; Platinum Cup Stallion and many more. His offspring have won almost every title including US National Champion Stallion and Scottsdale Grand Champion.